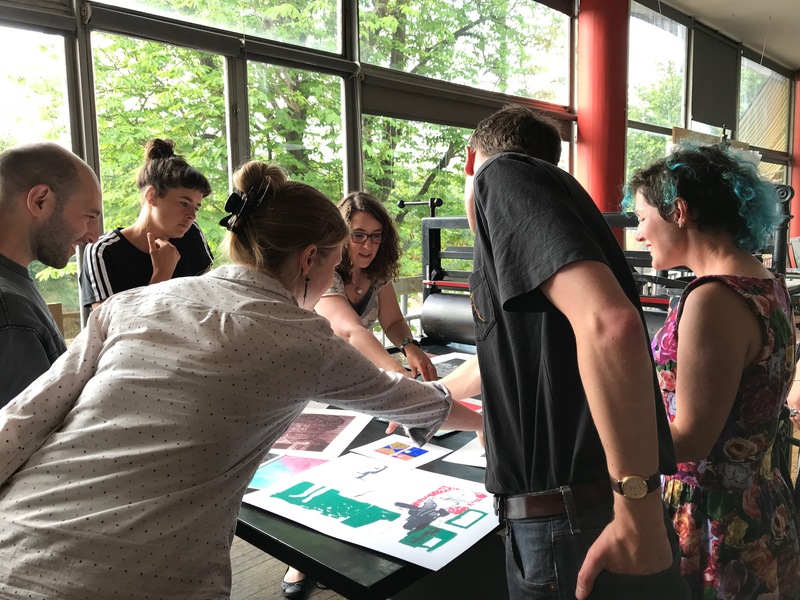 Next month, the scholars will present their work in a unique, multidisciplinary exhibition, Print-centric, opening on July 12 at UWE’s Bower Ashton campus. Spike Print Studio (SPS) is one of the UK’s largest open-access print studios, offering the public vital facilities and education. Working with UWE, SPS founded the scholarship to create artistic opportunity through widened access to facilities and exposure to supportive collaboration. While recent grads were given a chance to continue their practice at the established SPS, professionals were offered entry into UWE work-spaces. This has encouraged the usually separate parties to develop their methods collaboratively. “The idea behind it all was that there would be that opportunity to network, and for there to be a cross-pollination between the parties and organisations involved,” Amy Hutchings explains. 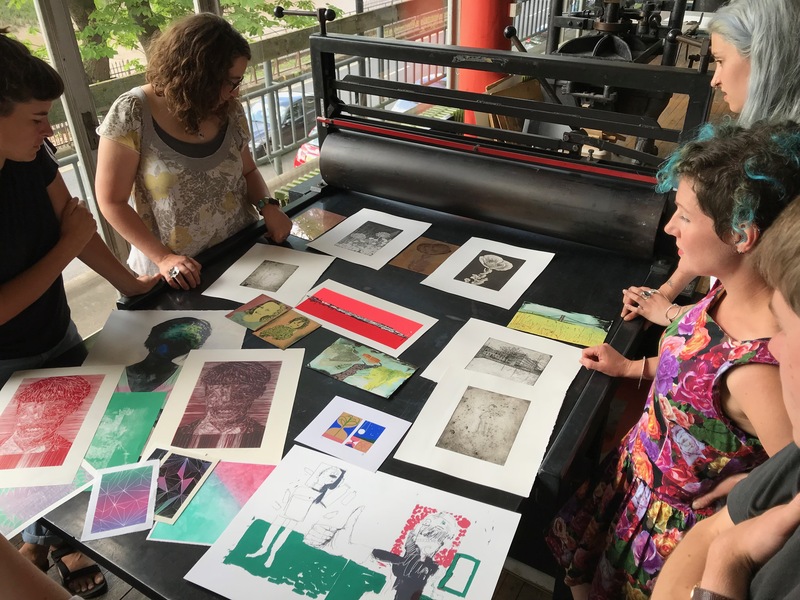 The group agrees that the scholarship has pushed their artistic practice, experimentation with the printmaking medium, and allowed the SPS members to break away from habit. Importantly, it has posited an essential and accessible boost for graduates, enabling them to continue their work in the city, while soft-launching them into the professional art world. 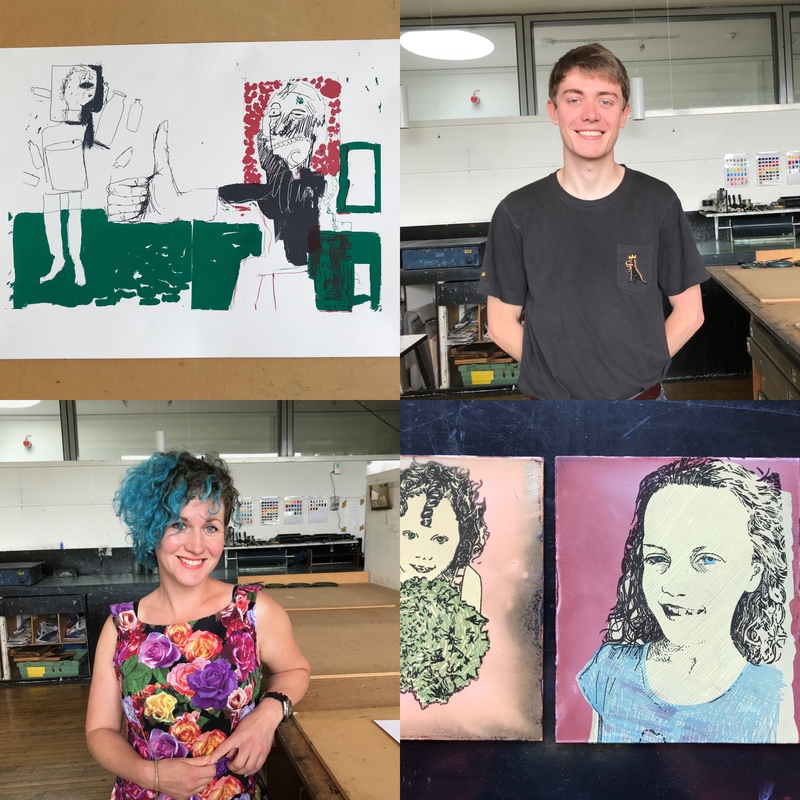 The exhibition, which will run throughout July, focuses on printmaking, tying together an array of artistic specialisms including illustration, enamel work, etching, monoprint and graphic design. “Printmaking is so versatile. Using digital and traditional technologies, we have taken different skills and merged them together to create new work,” Hannah McVicar tellsBristol24/7. The group believes the exhibition will be a holistic reflection of their diverse personalities, merged naturally through the craftsmanship of printmaking. They hope the very curation of the space will become an artwork in itself. The cross-genre of work on display will be recently produced, following a contemporary and experimental dynamic, with mark-making and texture underpinning the art. To see the scholars’ artwork, visit the F Block Gallery of the UWE Bower Ashton Studios via reception from July 12 to 31, open daily from 9am-5 pm.